Obtain a seedless watermelon about six or seven inches in diameter. These mini-melons are grown in Mexico and typically available all year round. If you wish to get experimentally adventurous, try any type of well-ripened sweet melon seasonally available. Honeydew or Crenshaw would be excellent choices. “Pomegranate” derives from the Latin words for “seeded apple.” Native to Persia, these are now widely cultivated in Mediterranean climates around the world. Pomegranate juice is usually somewhat sweet, though this is balanced with the acidic tannins found in it. The bar-syrup Grenadine was originally concocted of pomegranate juice and sugar, although now most commercial products consist of corn syrup and artificial flavor and color. 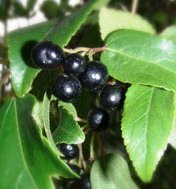 Maqui, AKA Chilean wineberry has a flavor similar to blackberries. The berries are only sparsely cultivated, and most of the commercial crop is gathered by Mapuche families from the wilds near the Andes Mountains. These people sometimes use maqui berries as an ingredient in their fermented chicha, where it was purported to give strength to their warriors. As a health food they are valued for their antioxidant content. Orange flower water is a distillation of the blossoms of the bitter orange tree, and is an intensely perfumed ingredient in many Middle Eastern dishes, particularly sweets. It’s also added to plain drinking water to liven up the taste and aroma. Here, its aroma mingles with that of the melon, creating an intriguing combination. 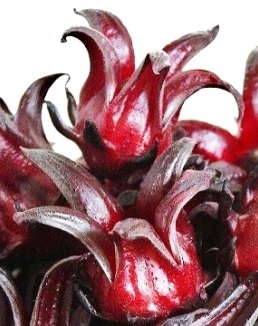 Roselle is more commonly known as “hibiscus flower” though the herb is actually the calyx of the plant. It has one of the highest levels of antioxidants found among widely available foods. Pomelona watermelon pomegranate soda is a full-flavored refreshing drink that will pair well with spicy Mediterranean or Middle Eastern dishes. This entry was posted in soft drinks and tagged fermentation, homebrewing, pomegranate melon soda recipe, soda recipe, soft drink, umami.